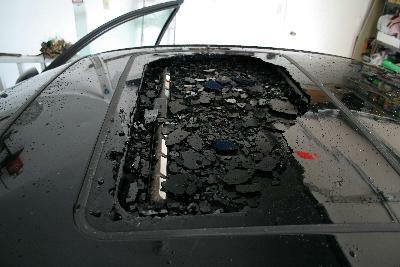 Sunroof damage from hail is rare, but it does happen. Typically the hail needs to be larger than golf ball sized and very hard to shatter a sunroof. 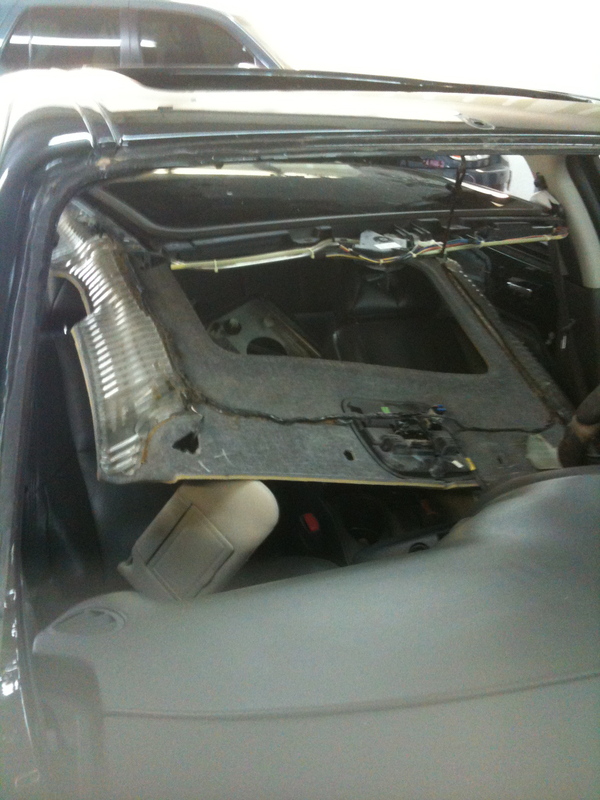 If the sunroof is cracked or shattered it will need to be replaced. A glass company can be called directly or the body shop or PDR company can handle this repair while the rest of the hail damage is being repaired. 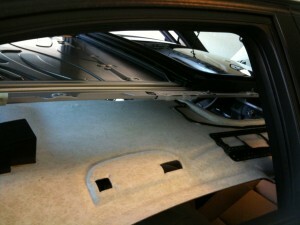 The difference between a sunroof and a moon roof is that the sunroof tilts up and retracts. A moon roof only tilts up and is usually not motorized. The Sunroof is often lowered for hail damage repair. Even though the sunroof is not damaged, it may need to be R & I ‘ed in order to access the dents. This is actually an easy process, but should still be handled by a professional with experience. Even though there are only about a dozen nuts, 4 drainage hoses and a couple of wiring harness clips to be removed, many problems can occur. 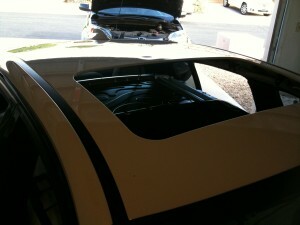 The first step is to lower the headliner. Read about the next term: Sunroof Assembly – The glass and entire track that it moves in.